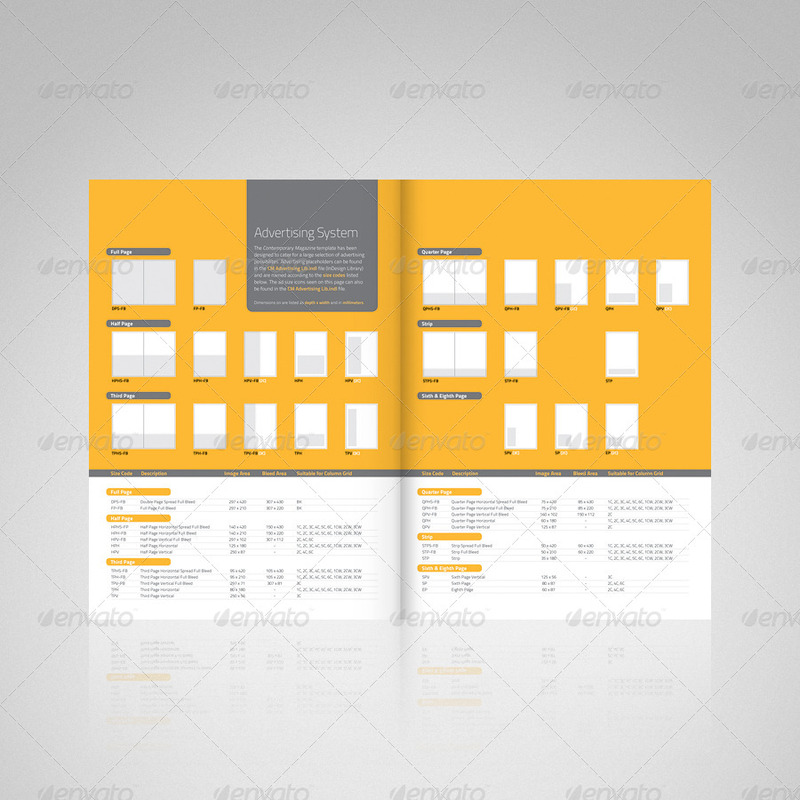 A simple and modern template designed primarily for magazines, but can also be used for newsletters, brochures, booklets, and annual reports to name a few. 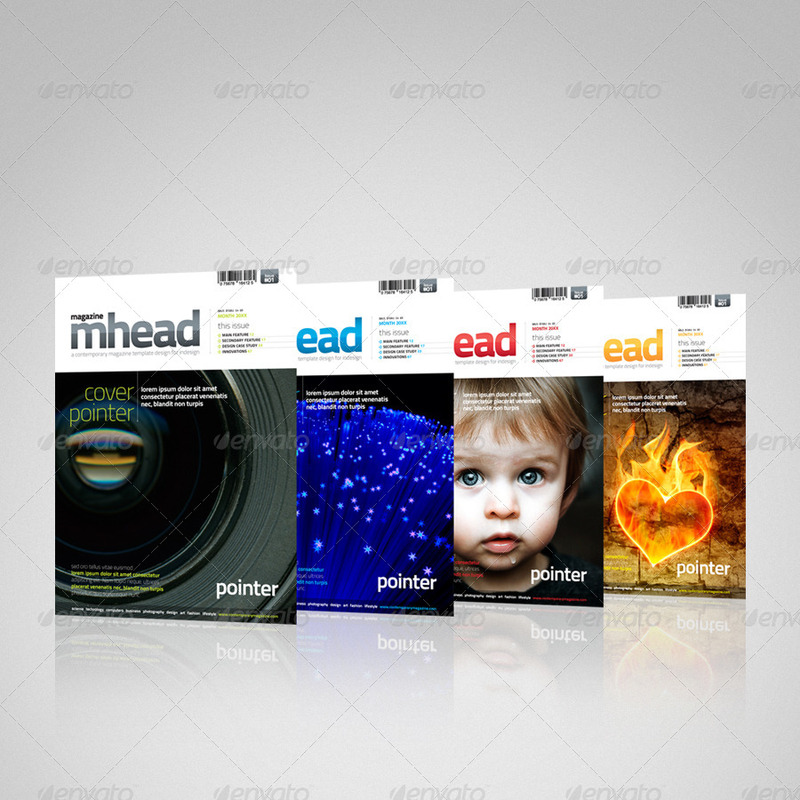 The fresh contemporary design would suit many genres of magazines such as science, technology, computing, business, photography, design, art, fashion and lifestyle etc. The size is A4 (210×297mm). 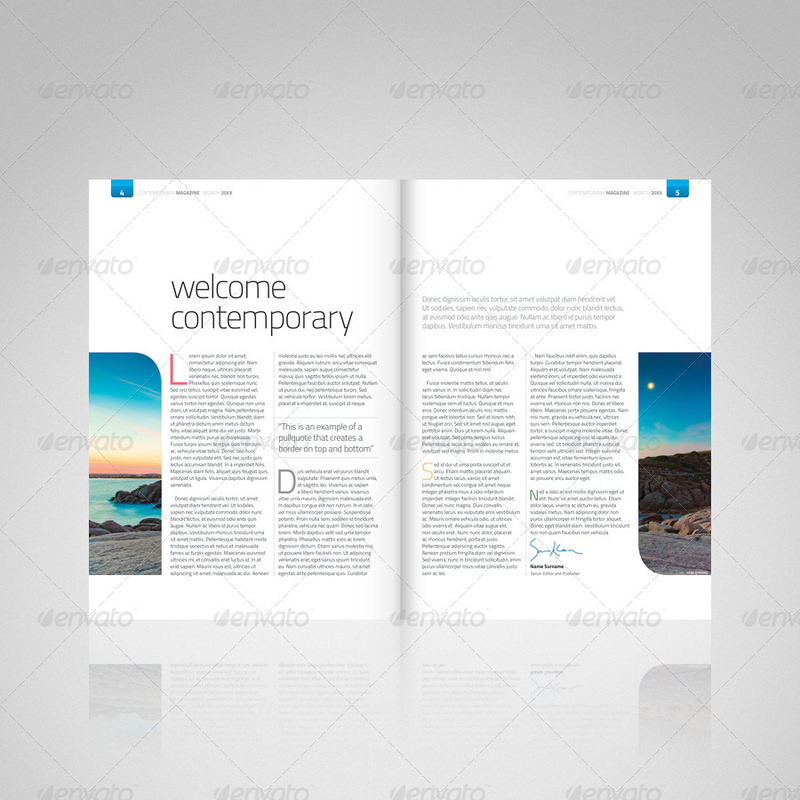 The Contemprary Magazine template has been designed in InDesign CS5 for use with InDesign CS5. Idml files have been provided for InDesign CS4, however not all application features are backwards compatible from InDesign CS5 (such as different corner radius on the same object as seen in the mockup pages). Example page designs for exploring the construction (no images). 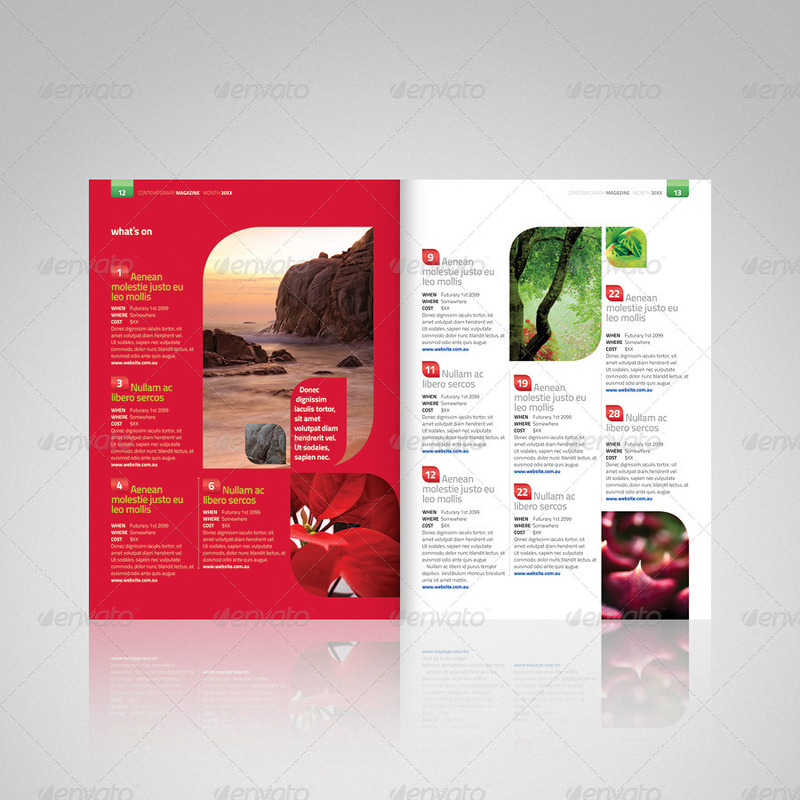 In order to use the Contemporary Magazine template you will need to download and install the following fonts. All fonts (except Zapf Dingbats) are freeware and can be used commercially. Please note: the link for Titillium supplied in the download has been superseded — use the link above. Zapf Dingbats Most computers should already have a copy of Zapf Dingbats pre-installed. If you don’t have Zapf Dingbats it can be purchased from numerous online retailers. If you do not have Zapf Dingbats and do not wish to purchase it, the only Paragraph Styles that use it are the bulleted lists named Bullet List Medium Dots Gray and Bullet List Medium Blue — simply use a different list style. There are 10 master pages with varying column grids to choose from. 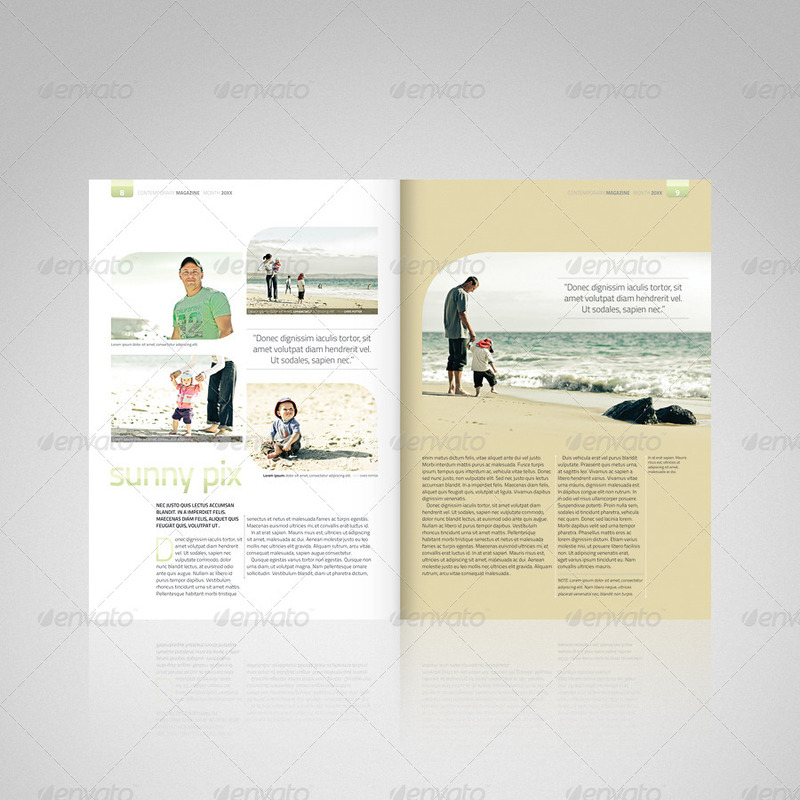 The Master Pages allow for great flexibility in your layout. From completely blank pages for full page advertisements, 1-6 column grids, and some wide margin grids for those special designs. 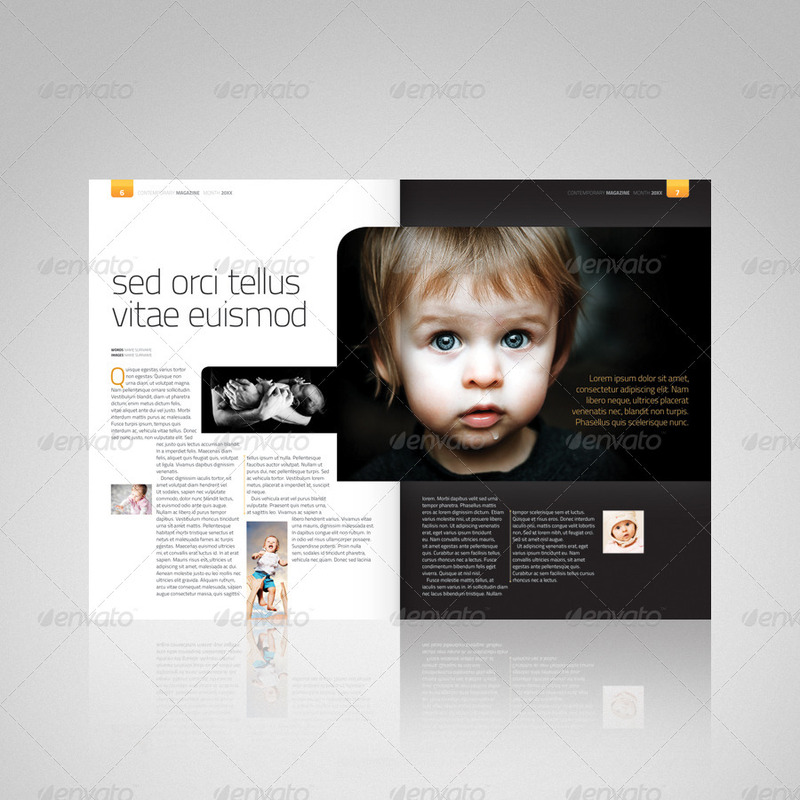 An advertising system has been incorporated into the overall design of the template making it easy to sell advertising into your magazine or newsletter. A separate CM Advertising Lib.indl file has been provided which houses placeholders for all advertising sizes. 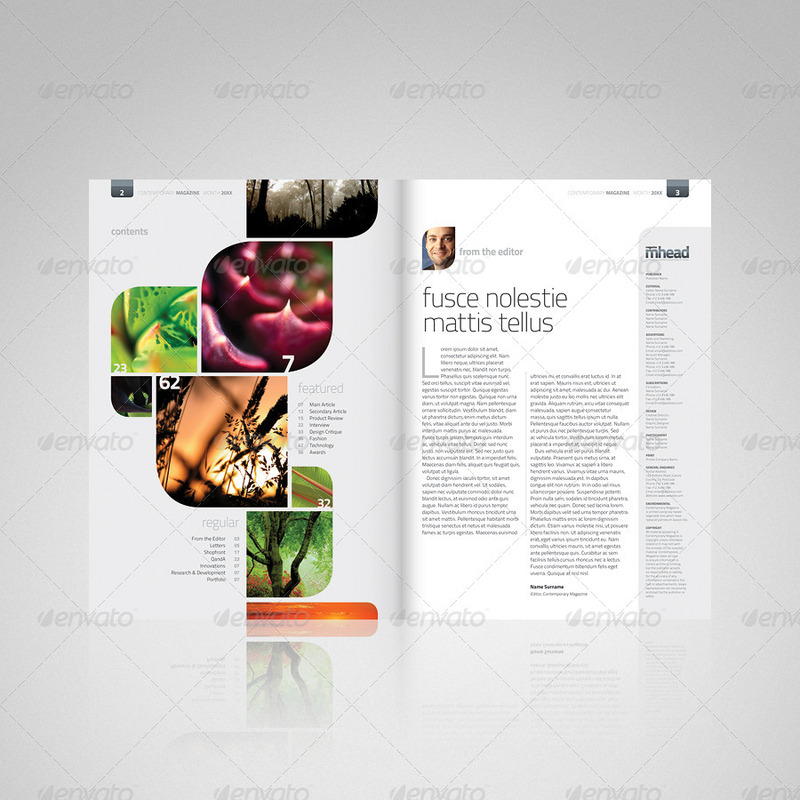 If you have any questions or suggestions regarding the Contemporary Magazine template please contact me through GraphicRiver. Not quite what you’re looking for? 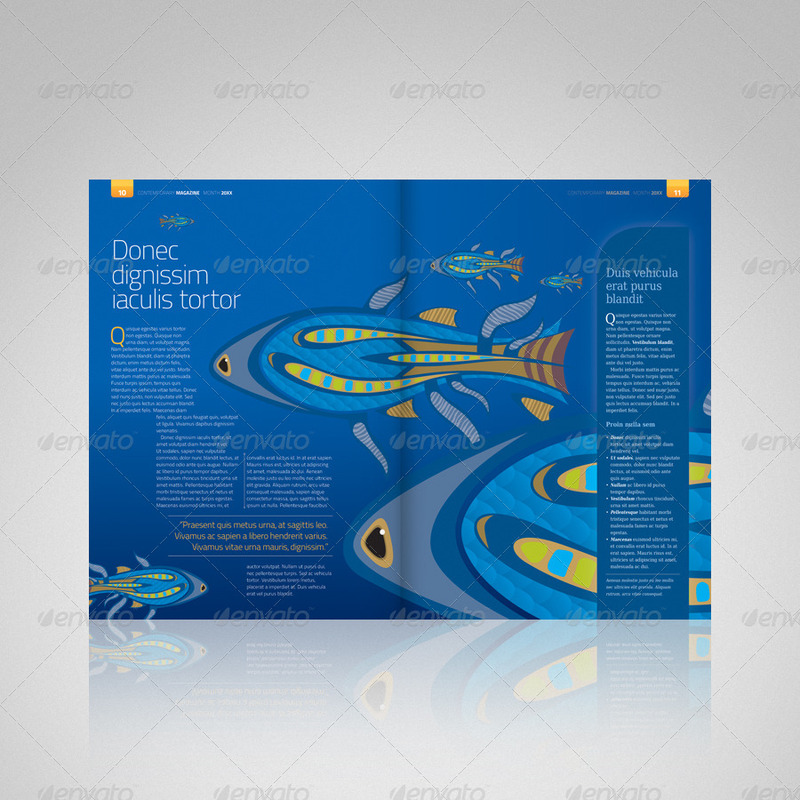 Try previewing other magazine designs by CSP Creative.